Just half a decade ago or so, Cloud hosting/computing was considered too complex. Now, the tech world is moving to cloud hosting in droves simply for the reason that it is superior in technology and has far more benefits to offer than traditional shared hosting. Stemming from the need to make cloud hosting even easier for users, Managed cloud hosting has fast become the defacto hosting solution for companies or individuals alike who don’t like dipping their fingers in technical complexities and coding their way through server problems. Simply put, Managed Cloud Hosting takes away the troubles of managing a server from the user, letting them focus on their business needs instead, hence the preference! Cloudways is a name that often crops up when discussing Managed Cloud Hosting. It’s an established name in the industry, having become one of the most known managed cloud hosting providers in the market in just seven years. From humble beginnings, Cloudways has managed to acquire a staggering number of customers in a short period of time thanks to good word of mouth and raving reviews from users. Today, we’ll put Cloudways under our scrutiny to see if it’s worth your money and all the hype surrounding it. In this Cloudways review, we’ll take you through what Cloudways is all about, its features, the server deployment process, the platform’s performance, and a lot more. To get close insights, not only did I go through the Cloudways website thoroughly, but I also got hold of Mustaasam Saleem, the Community Manager at the company, and a name I’m sure you must have stumbled across online if you’ve been in search of a cloud hosting provider! Cloudways was founded in 2012 with the ambitions of becoming one of the best-managed cloud hosting providers in the world. With a small team and a handful of customers, the company then grew at a fast rate, quickly capturing a big chunk of the market just a few years into the business. The managed cloud hosting provider aims to empower teams and businesses by simplifying their hosting experience according to their website. They value simplicity and freedom of choice along with a set of high-performance standards that they claim helps them provide a superior cloud hosting service! The following values and mission have been taken directly from their website, but I’ve included them here to throw more light on what drives the platform forward. The team at Cloudways is always on the cusp of innovation to better their services for their customers. They continuously develop new products to add to their wide range of solutions and to keep giving customers what they require to innovate and succeed at their end. Now even though their core value includes simplicity, I have to admit that I was kinda overwhelmed when I first logged on to the platform. Though it all became easier as I understood how things worked, one can’t help but desire for a simpler interface that doesn’t intimidate a new user. More on this later, but talking to Mustaasam, it does seem that they’re working on making the platform even simpler in future, so fingers crossed. Moving on, one of the reasons why the company has progressed so much over the years is because they value their customers. A lot. Going through tons of reviews and user feedback tells me that the company constantly listens to what customers have to say and implements timely solutions that make their life easy. Innovation is impossible without data, and Cloudways has always been a data-driven company that helps them set directions and makes growth possible. Also, Cloudways highly credits its success to great teamwork over the years. Mustaasam was nice enough to answer a few questions to give you all a clearer glimpse at what happens behind the scenes at Cloudways. Mustaasam, you’ve been associated with Cloudways for over 3 years if I’m not wrong. What do you think Cloudways values the most? Thank you for this opportunity, Moeez. Well, we at Cloudways believe in empowering individuals, teams, and businesses out there trying to make a difference. When it comes to the platform, we have really high standards of performance and commit to providing complete freedom of choice coupled with simplicity and agility for our customers in every process. Where does Cloudways see itself in the future? What is it’s one main objective? 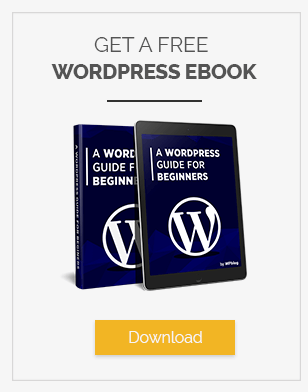 Web development has become easy nowadays thanks to WordPress. Even a non-techie can build a website in no time. You just need WordPress, a decent hosting, and a theme with the right plugins and you’re good to go! Hence, we always focus on the mantra “Empowering People To Move Their Dreams Forward”. After I had a discussion with Mustaasam, he was kind enough to provide me a discount code exclusively for WPblog readers that will give first-time users $25 free credit. Grab your discount code at the end of the article! Since there’s no dearth of Cloud hosting services out there, and none of them hold back on the features and oomph that come with such services, what factor helps Cloudways stand out? For starters, Cloudways offers support to users who are not yet customers of Cloudways. When I visited their website, I was taken aback by their customer support. Though I hadn’t yet signed up to their platform, I was able to chat with a Cloudways customer service representative. So if you have any pre-sales queries, you can always get in touch with Cloudways through their live chat. Not having fully managed WordPress gives you full control over your website. Other Managed to host providers who provide fully managed WordPress restrict users to specific plugins that they can use on their website. 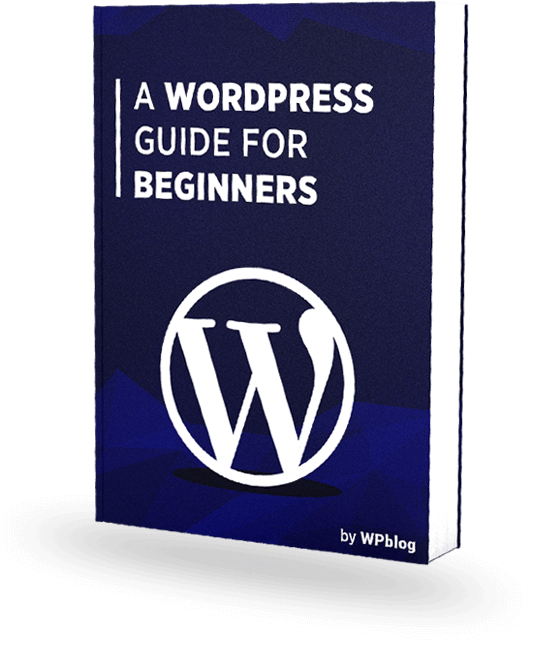 This is a big turn off because one of the major selling points of WordPress is its ability to extend functionality through different plugins. With Cloudways, you get full control over your WordPress website. You can use any number and type of plugins you want on your website. 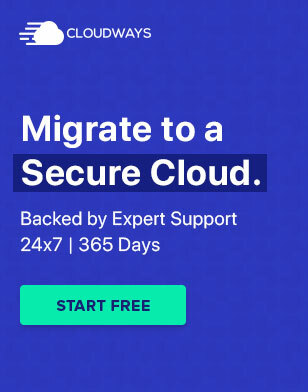 Another factor that makes Cloudways unique is its multiple platform support. No other Managed cloud hosting provider offers managed support for 6 different platforms. Cloudways not only gives you a variety of options when it comes to application but also lets you choose your infrastructure. Credit where due; not many cloud providers are transparent about the infrastructure they are using or what provider your servers will be hosted on. Cloudways is transparent to the point where you can choose the provider of your liking. If you like Digital Ocean for some reason, host your server there. You have money to spend on Amazon’s infrastructure, be their guest! 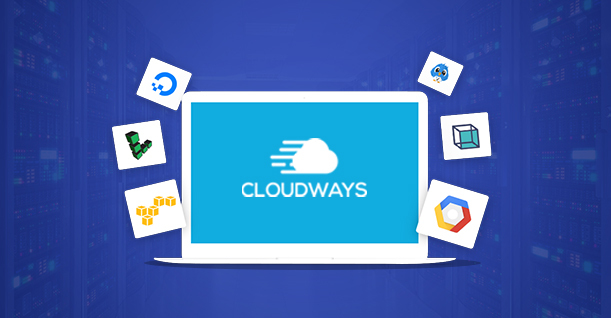 Cloudways is host to top of the line infrastructures that cater to the needs of users with both high and low budget, depending on how much they plan to spend. Choice, they believe, is good for the customer, and they sure stand by it! 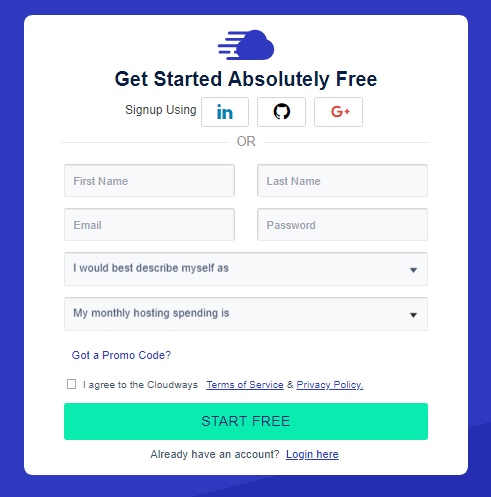 Nothing comes for free, and Cloud hosting is no exception. In fact, hosting your websites on Cloud can be rather costly. If you’re not too young and have had experience with shared hosting, you’d know that you used to pay for the whole month, or months if you paid in advance, whether you used the server not! Cloudways, like many other providers, gives you the Pay as You Go payment system where the customer pays for usage and no more. So if you use their server for just 2 days, you’ll be billed for 2 days, not the whole month. That’s a huge advantage over hosting services that charge you for the entire month. No? To fully understand the features of the Cloudways platform, it is important to start from the very beginning. Right after creating my account on Cloudways, I launched my first WordPress application. The process of creating an account is easy. All you have to do is fill out this simple form, and click Start Free. 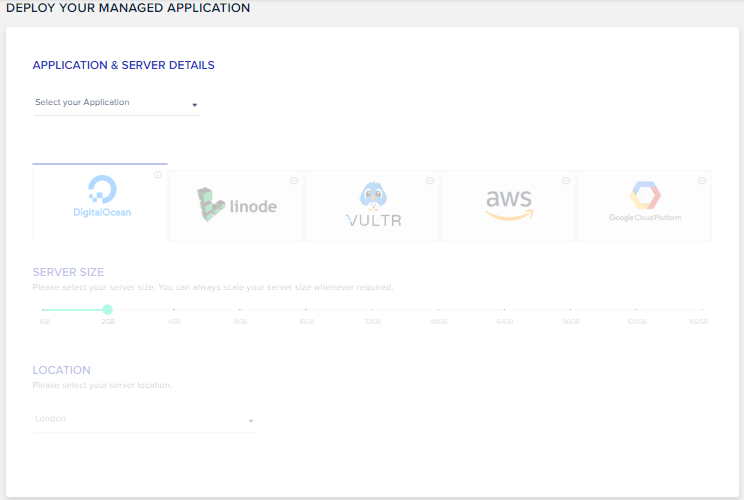 Once you’ve signed, you will be able to launch your server and application from this dashboard shown below. On this page you can select your application, infrastructure, server size, and location. This process is as simple as it can get and aligns with their vision of making your hosting experience simple. 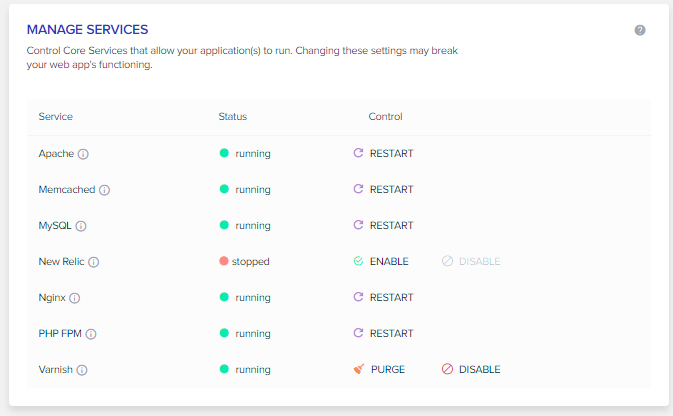 If you have any experience of deploying a server manually, you would know how difficult and time consuming it really is, so hats off to Cloudways for taking a simpler approach. The first cool feature I came across was the pre-configured WordPress variants. These variants have a built-in set of tools required for a specific site. For instance, the WooCommerce application comes with the WooCommerce plugin and Varnish settings pre-installed for an online store. Launching your desired server on the platform is a breeze (a pun you’ll understand in a minute) and takes a few minutes. 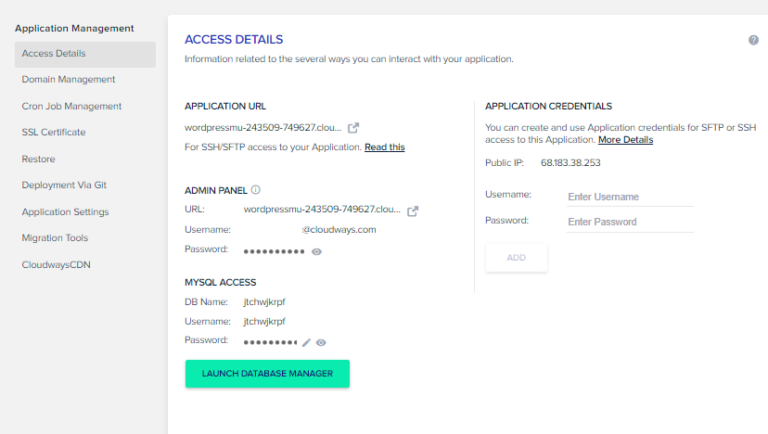 After you have launched your server, you will find your application credentials so that you can log in to your WordPress. That’s it! In just a few steps and clicks, I was able to create my WordPress application and launch my server. I did face a few glitches, but nothing that their representative on the live chat couldn’t figure out quickly. But, I reiterate. As I mentioned earlier, once you’ve launched the server and all, things can get a little perplexing. The platform seems like a mess on the inside, with so much info thrown at you it throws you off-guard. It’s complex, jumbled up, gives you too many information to play with, and is somewhat of a departure from their promise of making things simpler for the user. Once I played around a bit, I was able to understand how things work in there. But anyone who’s not into so much technicalities will be instantly turned off. As I said, one can’t help but wish for a simpler interface to deal with. And I hope Cloudways listens (Hey, Mustaasam). Moving on from the platform, let’s take a look into the features they offer. Breeze is a WordPress cache management plugin developed by Cloudways. Now that you understand my earlier pun, Breeze is a cache plugin that helps speed up WordPress sites. If user reviews are to be believed, and I’ve tested it myself as well, it does its job pretty well. And the plugin comes preinstalled with WordPress version 4.9.2, so that’s an added edge. 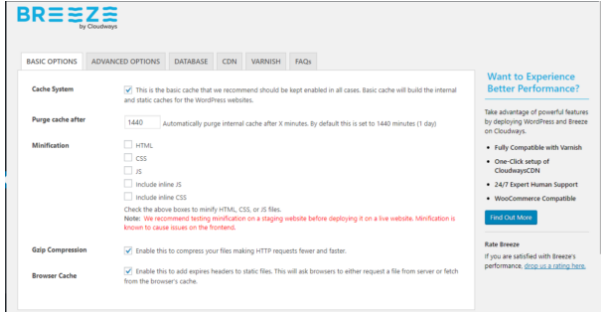 Varnish is another extremely fast cache mechanism that also comes preinstalled with WordPress version 4.9.2. You can define custom Varnish rules inside the Application Settings from the Application dashboard as well. Content Delivery Network (CDN) is used to deliver files to the end user from the nearest server. This improves the speed of the site as well as enhance user experience for all visitors (regardless of the location). CloudwaysCDN is extremely easy to set up and comes at a great price of just $1 for 25GB per application. Managing domain and pointing it to your website is fairly complex when done through the conventional cPanel. Realizing this, Cloudways has simplified this process so that any lay user could do it in easy steps. Cloudways offers a convenient plugin for migrating your existing WordPress site to the Cloudways platform. It is very efficient and does not break your old site. Note that the migration process can take up to 30 minutes depending on the size of your WordPress site. This is one of my favorite Cloudways features, and if you are a developer you would probably love this too. Cloudways application cloning feature lets you clone the whole application to another Cloudways server in just a single click! No need to take site backups or import MySQL scripts. Cloudways lets you add team members to work on your application. This is a very important feature for agencies and developers who work with distributed teams, so you can take full advantage of this feature especially if you have a remote team. So basically, these features are super handy and will definitely make your hosting journey a little smoother! If you feel like these features are a little too advanced for you, don’t worry. Cloudways has a highly useful Knowledge Base (KB) that will help through all the processes! As mentioned before, Cloudways offers 5 different cloud infrastructures. Apart from that, Cloudways also provides a feature filled server management. You can access these features from the Server tab at the top. This feature speaks for itself. Cloudways monitors your server usage and notifies you of all the server related activity. The graph represents my test server’s usage. You can select the time interval and the criteria upon which you want to check your usage. This is a handy tool that keeps you aware of your server status and helps you take decisions on whether you want to expand your server at any point in time. This feature lets you manage the core services that comes with every server, a.k.a. the Cloudways Stack. Usually, manually managing these services require deep, technical server knowledge. But with Cloudways, you can do it in a matter of seconds. Apache: This is a web server responsible for listening to user request and serving the files to them. Memcached: This is a caching layer that holds database queries. Caching is used to speed up the server response time. MySQL: This is the database used for your application. New Relic: This is an analytical tool which can be used for application performance monitoring. Nginx: This is also a web server used for load balancing and other caching related operations. PHP-FPM: This tool boosts up the performance of your application. It offers features like Adaptive process spawning. Varnish: Another caching tool for your application. It drastically speeds up the delivery of your site. Now it’s time to put Cloudways to test. 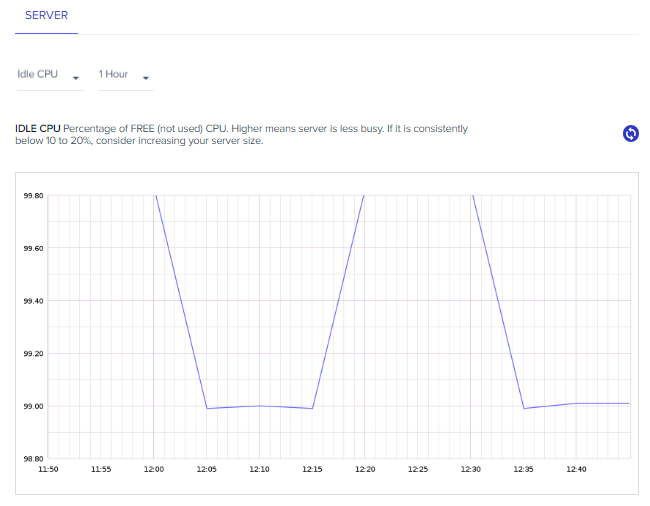 I’ll be testing the server and application that launched on Cloudways to check its performance. I used three different tools to acquire authentic and accurate results. I used their default Cloudways stack with all the setting and services at default. On a staging site with close to zero content, the page speed is impressive. WebPageTest shows a load time of 0.96 seconds which is great. GTMetrix, however, gave it an A on its PageSpeed Score with a load of 1.6 second. 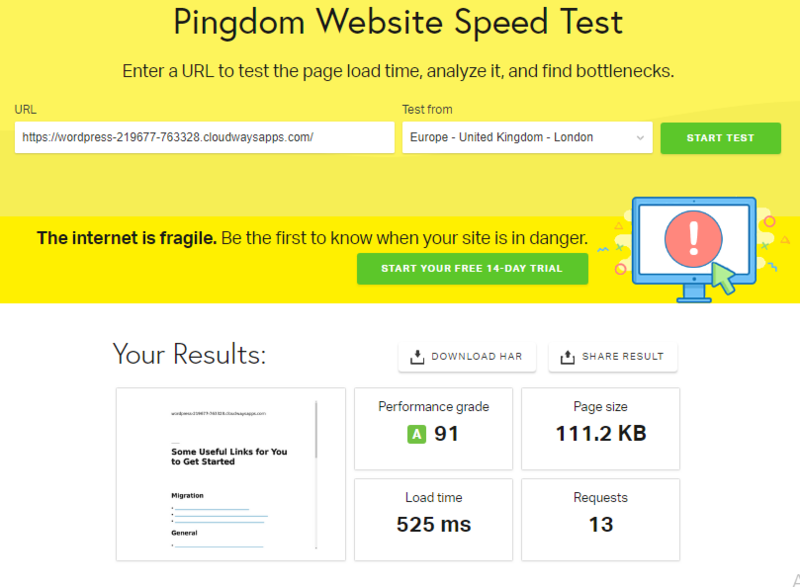 Pingdom showed the most impressive results. The website hosted on Cloudways loaded in only 525ms after 13 requests. On default settings, without any customization, all the three tools showed amazing results. Load time is definitely impressive and it can get even better with some optimization and tweaks. So this concludes our Cloudways review. The managed hosting service provider is clearly up there with the best. With a variety of infrastructure providers and the option to host multiple applications, Cloudways managed hosting service is not only for users with deep pockets but also for users with a limited budget.